We are beginning to compile items for the 2015 Abilene Award in so if you have any information you would like to provide please send that to me. As most of you are aware, the Tampa Bay area applies for the Abilene Award each year. This is a community effort to show that Tampa Bay supports the United States Air Force and MacDill Air Force Base. 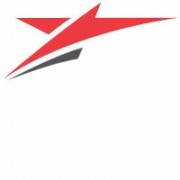 In an effort to eliminate that last minute scramble for the Greater Tampa Chamber of Commerce to put together a great packet we thought it would be beneficial to compile items that could be used in the application on a quarterly basis. 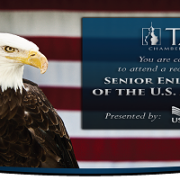 The Greater Tampa Chamber of Commerce Military Council will be hosting their 12th Annual Senior Enlisted Reception for our senior enlisted military forces stationed at MacDill AFB to recognize and thank our “Joint Services” Army, Navy, Marine Corps, Air Force, Coast Guard, Reserve and Guard Forces for their dedication and service toward defending America and her Allies. The reception will be held on 20 August, 2014 at 4:30 pm at the Surf’s Edge Club on MacDill AFB. As a reminder, historically the Military Council hosts this reception at MacDill AFB and invites over 300 of our senior enlisted men and women who are currently engaged with global missions. Many of our troops have been deployed overseas and have just returned to the U.S. to be reunited with their families. As a part of this reception, we have a fun filled way for the military guests to be entered into raffle drawings. Along with a raffle ticket, each military guest will receive a note card in which they must obtain ten (10) civilian signatures. Once the card is completed signed, the cards will be entered for the Grand Prize drawing. This allows much more interaction between the military and civilian guests as well as enables military to enhance their networking skills. I can’t believe we are headed into the third quarter of 2014 – where has the year gone. We are beginning to compile items for the 2015 Abilene Award in so if you have any information you would like to provide please send that to me. As most of you are aware, the Tampa Bay area applies for the Abilene Award each year. This is a community effort to show that Tampa Bay supports the United States Air Force and MacDill Air Force Base. In an effort to eliminate that last minute scramble for the Greater Tampa Chamber of Commerce to put together a great packet we thought it would be beneficial to compile items that could be used in the application on a quarterly basis. GOLF ENTHUSIASTS – The 2014 ATA Air Force Ball Golf Tournament is NEXT FRIDAY. REMEMBER every single entry for the golf tournament helps pay for one airman to go to the Air Force Ball for free, we need your support!! 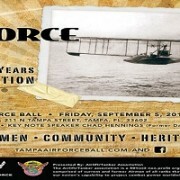 All participants must register/purchase their ticket for entry into the Tournament through the website, www.tampaairforceball.com.